Vortex shedding flowmeters are a type of flowmeter available to the process industry for the consistent evaluation of flow rates. These flowmeters measure the volumetric flow rate of media such as steam flowing in pipes, gases, and low viscosity liquids, boasting both versatility and dependability. Since they have no moving parts, they are impervious to the kind of wear turbine or mechanical meters experience. The SIEMENS SITRANS FX330 vortex flow meter from Siemens takes your steam, gas and liquid flow measurements to a new level with this new, digitally based product. Ideal for HVAC and auxiliary systems, and versatile enough for use in many process applications, the FX330 Vortex flow meter is a reliable and versatile flow system. 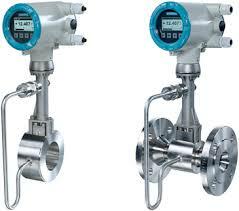 It combines flow, pressure and temperature monitoring into one user- friendly, two-wire device. You benefit from enhanced energy and process efficiency, greater accuracy and significant cost savings. Read more about the FX330 vortex flow meter in the embedded document below, or download the "SIEMENS SITRANS FX330 Vortex Flow Meter" brochure in a PDF here. 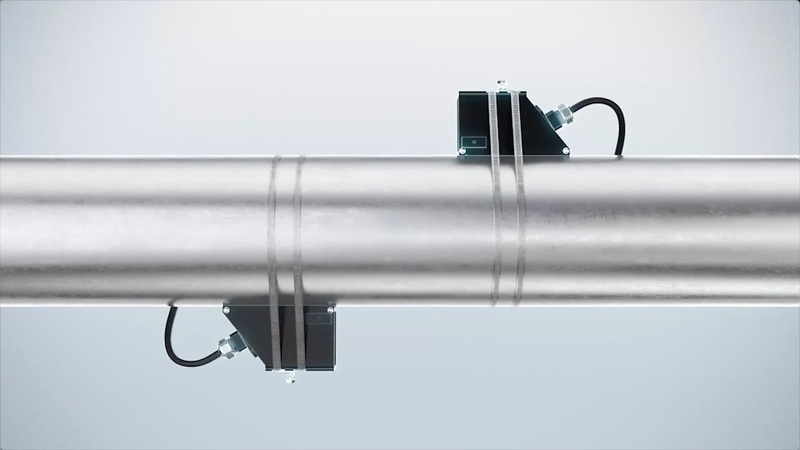 The video below demonstrate the principles applied to industrial clamp on flow meters using the SITRANS FS as an example. 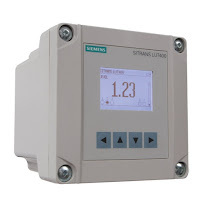 The ultrasonic technology of the SITRANS clamp on flow meter provides highly accurate measurement of liquids and gases. With no pressure drop or energy loss, a wide turn-down ratio and no need to cut the pipe or stop the flow, installation is easy and maintenance is minimal. For more information about ultrasonic flow meters, contact Ives Equipment at 877-768-1600 or visit http://www.ivesequipment.com. The video below explains the basics of programming the SITRANS F M electromagnetic flowmeter. The SITRANS F M MAG 5000 & 6000 are microprocessor-based transmitters engineered for high performance, easy installation, commissioning and maintenance. These transmitters are truly robust, cost-effective and suitable for all-round applications. The MAG 5000 has a measuring accuracy of ± 0.4% of the flow rate (incl. sensor), while the MAG 6000 has a measuring accuracy of ± 0.2% of the flow rate and can be fitted with optional plug-in communication modules. SITRANS F M MAG 1100 is a wafer design sensor in stainless steel with highly resistant liners and electrodes and is designed for the general industry environment. The flangeless wafer design meets all flange standards. The SITRANS F M MAG 1100 is used in all industries where the corrosion-resistant stainless steel housing and the highly resistant liner and electrodes fit even the most extreme process media. The SITRANS F M MAG 1100 F sensor is especially designed for the food & beverage and pharmaceutical industries and is available with hygienic and flexible process connections. It meets all sanitary requirements and is 3A certified and EHEDG approved. SITRANS F M MAG 3100 is an electromagnetic flow sensor with a large variety of liners, electrode material and with grounding electrodes as standard, all this ensures a perfect fit for almost every flow application. Also, measuring electrodes which are capable of withstanding the most extreme processes and various liners are available. The SITRANS F M MAG 3100 P sensor is designed to meet the most common specifications within the chemical and process industries. It has PTFE or PFA liners and Hastelloy electrodes being the ideal combination. The fully welded construction provides a ruggedness that fits almost every flow application. The SITRANS F M MAG 6000 I and the SITRANS F M MAG 6000 I Ex de transmitters have an measuring accuracy of + 0.2% of the flow rate and are designed to meet the demands of the process industry. Both versions are based on a microprocessor with a built-in alphanumeric display.